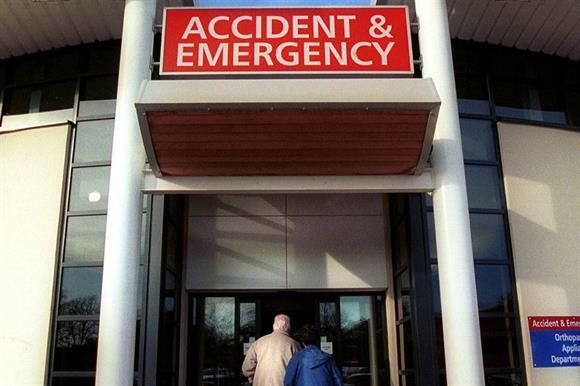 The Cabinet Office has agreed to pay a total of £1.5m to the Royal Voluntary Service, the British Red Cross and Age UK to spend 12 weeks helping out at 29 of the country’s most overburdened accident and emergency departments. The department announced that the three charities would start working today for a 12-week trial period, during which time they will receive £500,000 each. Paid staff will work alongside 700 charity volunteers to deliver the support, which will mainly consist of helping to prevent unnecessary admissions and secure the early discharge of patients who do not need beds but who cannot return home because they are unable to take care of themselves. The announcement comes after Sir Stephen Bubb, head of the chief executives body Acevo, last month met Sir Jeremy Heywood, the Cabinet Secretary and Head of the Civil Service, and Una O’Brien, permanent secretary at the Department of Health, to discuss how charities could help provide support to A&E departments. "I’m pleased to have agreed this action plan," Bubb said in a statement today. "Patients will benefit from the unique charity offer – a mix of paid professional charity staff and trained volunteers helping improve outcomes in alliance with clinical professionals.‎"
He said that over the next 12 weeks Acevo would be gathering evidence to show how charities could support the NHS on a more long-term basis. A spokesman for Acevo said the government had not agreed to provide extra grants once the 12 weeks were over, but that the body would keep the pressure on to make this happen. Commenting on the initiative, the health minister Lord Howe stressed that the NHS had been working with charities for decades. He said: "About 700 volunteers will help mostly older patients once they leave hospital as part of this project, which is on top of the record £700m that the government has provided for 700 more doctors, 4,500 more nurses and 5,000 more beds." Rob Wilson, the Minister for Civil Society, said the additional funding would have the potential to help people to stay well for longer, recover from illness and injury and improve the experiences of patients. "These 29 projects will further demonstrate how the power of volunteers can make a real difference to public services," he said. David McCullough, chief executive of RVS, said: "Royal Voluntary Service volunteers have been supporting the NHS since it was founded in 1948 and we are pleased this additional funding will enable us to work alongside clinical teams in the most under-pressure NHS trusts to improve the wellbeing of older people."